15 September 1943: Keel laid by the Brown Shipbuilding Co., Houston, Tex. 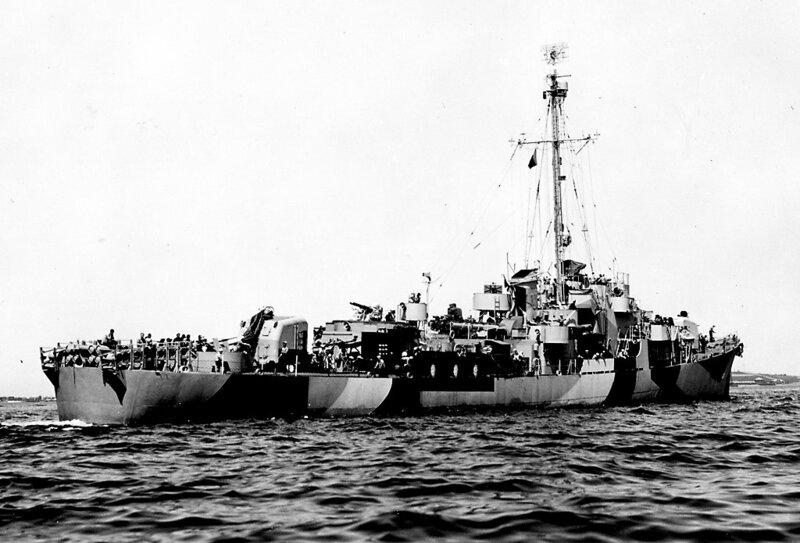 07 April - 10 May 1944: Post-commissioning shakedown cruise to Great Sound, Bermuda, B.W.I. 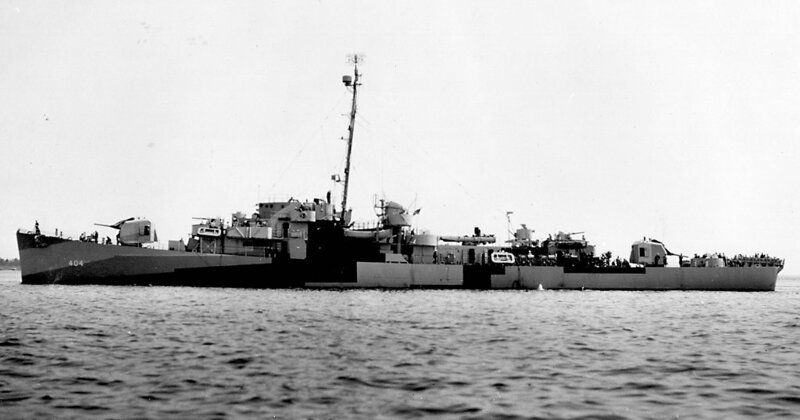 07 - 13 June 1944: At U.S. Naval Repair Base, San Diego, Cal. 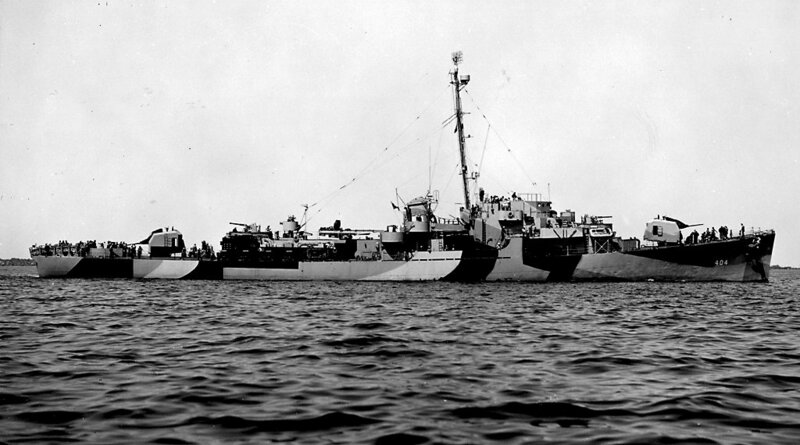 28 October 1944: Sunk, torpedoed by Japanese Submarine I-45 off Leyte. Other escorts rescued 139 survivors and sank the attacker, 40 crewmembers were lost. 87k John Thomas Eversole was born 17 April 1915 in Pocatello, Idaho. 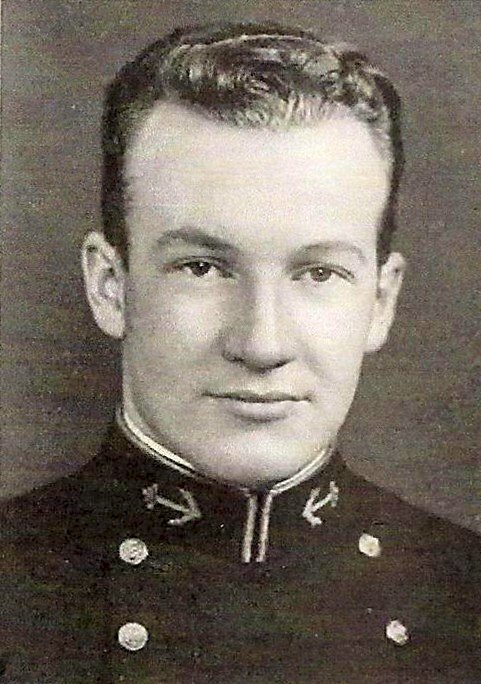 He graduated from the Naval Academy in 1938, and after duty at sea received aviation training. On 07 May 1941, Eversole joined Torpedo Squadron 6 in Enterprise (CV 6), and with many others of his squadron, gave his life for his country in the opening phases of the Battle of Midway on 04 June 1942, in an attack on Japanese carriers made through heavy opposition. Lieutenant (junior grade) Eversole's determination in this action was posthumously recognized with the award of the Navy Cross. "For extraordinary heroism and courageous devotion to duty while piloting an airplane of Torpedo Squadron Six in action against the enemy Japanese forces in the Battle of Midway on 04 June 1942 participating in vigorous and intensive assault against the Japanese Invasion Fleet, Lt. (j.g.) Eversole pressed home his attack with relentless determination. In the face of terrific barrage of anti-aircraft fire the unprecedented conditions under which his squadron launched its offensive were so exceptional that it is highly improbable the occasion may never recur where other pilots of the service will be called upon to demonstrate an equal degree of gallantry and fortitude. His extreme disregard of personal safety contributed materially to the success of our forces and his loyal conduct was in keeping with the highest traditions of the United States Naval Force. 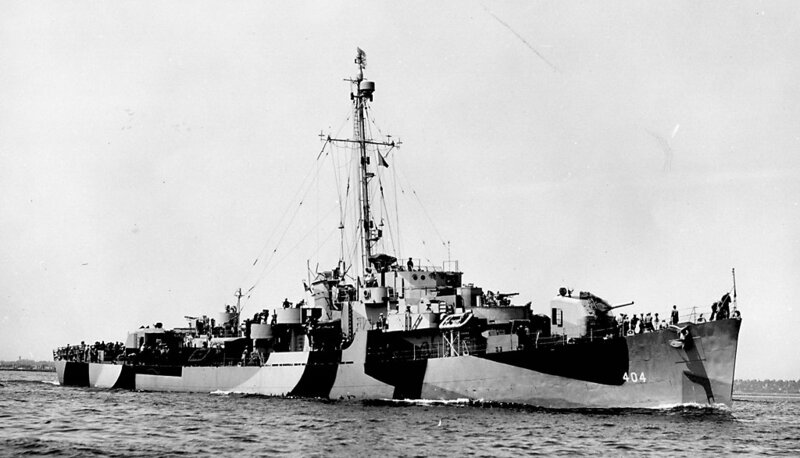 USS Eversole (DE 404) (March-October 1944) was the first ship to be named in his honor, she was succeeded by DD 789 (1946-1973). 0900 on 22 May, she left for Colon, Panama the same day at 15:00 in company with USS Dennis (DE 405) as escorts for USS Arlington (AP 174). 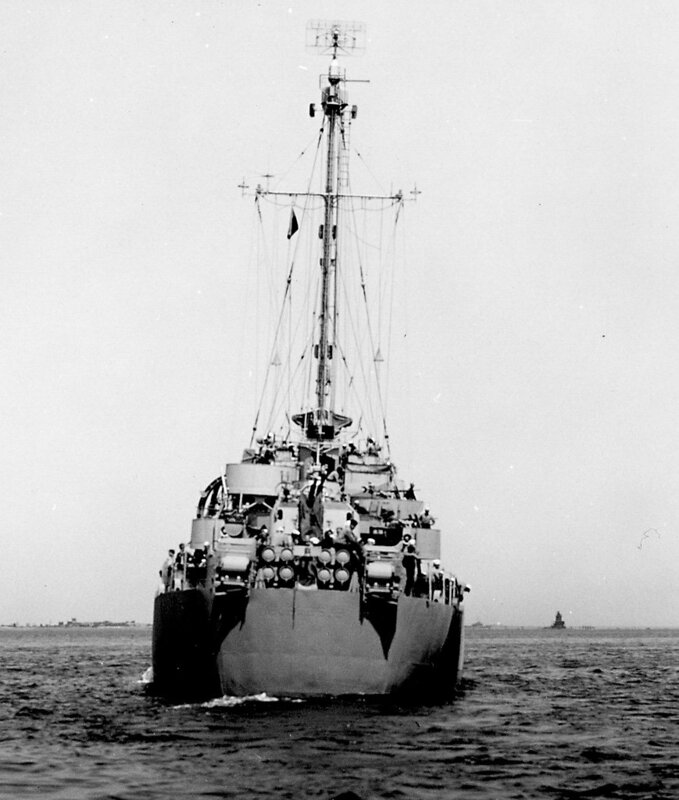 View the USS Eversole (DE 404) DANFS history entry located on the Naval History and Heritage Command web site. 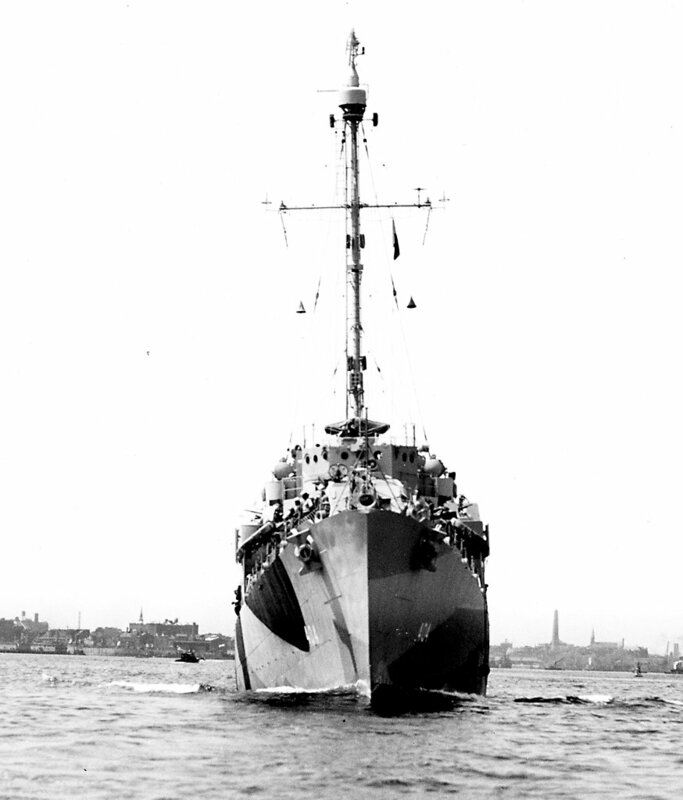 View the official War History of USS Eversole as submitted by the Commanding Officer in April 1946.